When there is a wound on our body, we often tend to it, but when there is a wound in our hearts, we may dismiss it or not tend to it as we don’t know how to do so. Yet every day, we store emotional pain in our hearts and harbour harmful thoughts in our mind that aren’t properly acknowledged and cared for. In this special session with Buddhist healer, Venerable Wellawatte Seelagawesi, we explore ways to understand our suffering, and ways to transform it. 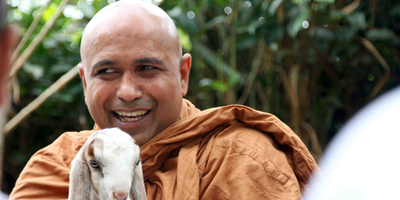 Venerable Seelagawesi is the resident monk and spiritual guide at the Nissarana International Meditation Center in Kandy, Sri Lanka. He has spent numerous years teaching, healing, and guiding practitioners on the noble path at the Nissarana Centre, as well as giving talks and retreats internationally.